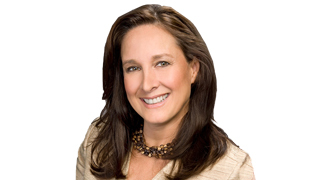 Robin began her real estate career 16 years ago with the purchase of a duplex in Forrest Hills. Over the past decade she has purchased and managed 5 investment properties. Robin was invited to partner with long time successful real estate agent Rhonda Brandon forming a powerful team with across the board experience. They specialize in Areas 1-2-10 with many deals brokered on pocket listings. Before her real estate career Robin was a critical care nurse specializing in Cardiology working at both St. Thomas Hospital and Centennial Medical Center. Robin is a sustainer in the Junior League, Past Chairman of the Harvest Moon Ball, member of the Friends of Children’s Hospital and served on many committees at Ensworth School, Harpeth Hall and Montgomery Bell. After living in Nashville for 40+ years, Robin has a special insight to the Nashville Community and its neighborhoods. With the knowledge of people through medicine and now real estate, Robin can provide quality service for all of your real estate needs.